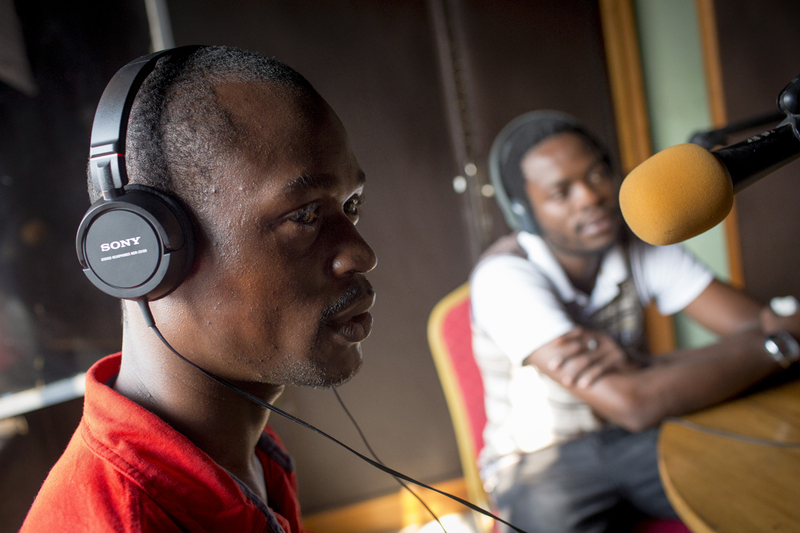 A radio show is carving out a space for queer people on the airwaves of Kinshasa. Founded by Patou Izai in 2012, the platform Jeunialissime aims to create a safe space for people from within the LGBTI community in the DRC to express their views and discuss pertinent and salient issues. As traditional and religious intolerance in the country makes any discussions about LGBTI rights and identity a sensitive topic, it provides a safe space where people can voice their views anonymously. Jeuniafrica is the platform’s weekly radio programme. As in many African countries, LGBTQI rights in the DRC are almost non-existent. Tradition and conservative religious communities mean that queer people are living under a constant threat of, at best, ostracisation or, worst case, attacks. The fact that the country doesn’t have formal legislation against queer people means that they’re not persecuted by law but their rights to exist are not protected by their government. Patou Izai reporting on the streets. Despite the fact that he is an atheist, Izai comes from a conservative Christian family that boasts seven children. He is the third. So when he disclosed his sexuality to his family, he knew what was at stake; he could be ostracised and even end up without a home. This failed to deter him though as his struggle was not just his own but also that of a silenced community of queer people living in Kinshasa. From his experience of coming out came the idea of actively creating a community to address the concerns of those affected. Armed with a degree in mathematics and informatics from the National Pedagogy University in Kinshasa, creating an online platform was a natural solution. The idea of a regular online chat session came about but this was not without its hiccups. It was while he was surfing the internet that he discovered Soundcloud. This also had its challenges. Also, many of the target people refused to grant Izai interviews. Most of those who did, Izai says, were not necessarily homophobic but did consider homosexuality an aberration. This desire to improve kept them going and they eventually received support from the Children’s Radio Foundation who supplied them with the resources to create a more professional product. 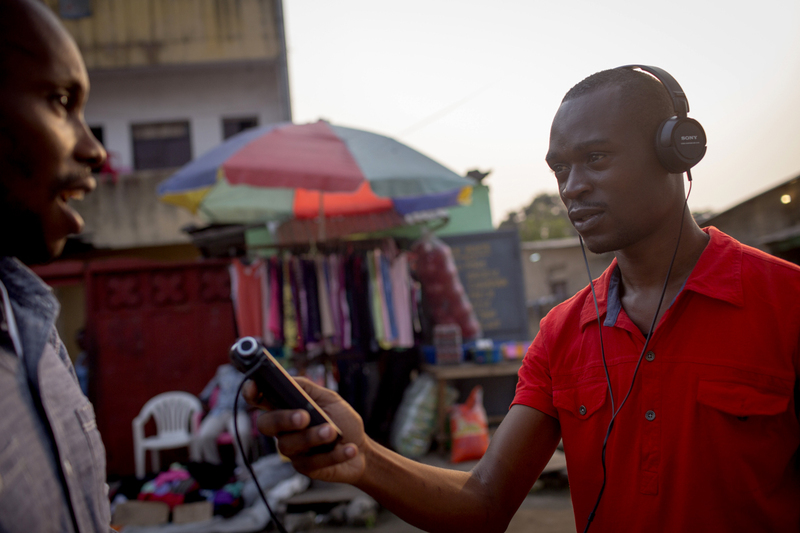 ‘They provided us with professional recorders that have greatly improved the sound quality of the broadcast, they trained us on the basics of journalism and gave us concepts that have enabled us to structure our programme,’ he says. After this upskilling, things began to change. The positive feedback started streaming in both locally and from LGBTI diaspora, and the show has continued growing its audience. They now broadcast on the FM airwaves via RTVS1, a private Kinshasa radio station, and stream online through Soundcloud in French. The programme covers a variety of issues from human and gender rights to sexuality, stigma, health and religion. But Izai says this is not the end goal as bigger plans are afoot for a wider reach in the DRC and bringing the show to TV. Izai’s story is captured succinctly in a short film looking at the events in his life that led to his starting Jeunialissime. The film was produced by South Africa-based social change content creators Makhulu in conjunction with the Children’s Radio Foundation.